The Call of Duty franchise had its share of ups and downs over the course of time, attempting to innovate and come up with refreshing ideas every year in order to keep its fans entertained, but it's not every year that we see a change so drastic from the original Call of Duty formula. Advanced Warfare takes the biggest risks since the original Modern Warfare, taking the franchise to new battlegrounds as the story takes place in the year 2054, following Private Jack Mitchell, a soldier of the United States Marine Corps throughout a mission in Seoul which led to a terrible accident that earned him a military discharge. The story opens up when Mitchell is offered to join the Atlas Corporation, the world's most powerful private military contractor, by CEO Jonathan Irons, father of Private Will Irons, who fought along Mitchell before he died in Seoul. It would be a huge disappointment if after one of the most action-packed and tense openings in Call of Duty history, the story would only fade out with typical action-games cliches, but Advanced Warfare is way better than that. After your first tour of Atlas, you will start to get an insight into the world's problems and how Atlas plans to solve them in the future, taking you on a dramatic journey that touches on some of the most sensitive matters of our age in a believable and authentic way, that feels almost scary when you realize how close we really are to all that happening in the near future. The drama and tension effect in the campaign's story is all courtesy of Kevin Spacey, who manages to bring Jonathan Irons' character to life with some powerful and motivating dialogue, making Advanced Warfare's story the most touching and dramatic one in any Call of Duty game to date. Without spoiling anything, because this truly is one story that you have to experience for yourself, the 8 hour long campaign will take you to some of the most intriguing and breathtaking locations seen in a first person shooter, all while making you feel like a genuine part of the environment and giving you the power to control the game with your many gadgets and weapons. Maybe it does come naturally with the freedom of movement given to you by your exo-suit, but Advanced Warfare is the first game in the franchise that manages to make the players feel like a highly trained soldier without the use of cutscenes or quick time events, as the game constantly throws breathtaking and action-packed moments at you, all which makes perfect sense from a story perspective and without taking the control away from you too often. The biggest change in multiplayer is the new freedom of movement granted by your exo-suit as you can now dash and boost into the air, opening up all sorts of new techniques and tactics that simply didn't exist before. In the games that came before it, the natural response to incoming fire was taking cover, but the exo-suit changed that strategy forever, making competitive multiplayer more fast-phased and action-packed than ever before. This is a mechanic that has been used in multiple games afterwards such as Titanfall 2, Halo 5 or Activision's own Call of Duty: Black Ops 3 and Call of Duty: Infinite Warfare only to name a few, but none of them came close to the smooth and fluid usage of this ability in the same way Advanced Warfare did, and they all have this game to look up to for bringing up the idea and refining it into a multiplayer environment. Popular game modes such as Hardpoint and Capture the flag made a return from Black Ops II, adding to the traditional modes such as Team Deathmatch, Free for all or Kill Confirmed, along with the brand new mode Uplink, where you have to bring a satellite drone from the neutral central point of the match all the way to the enemy station located near their spawn point in order to score points, all while battling your way through the enemy base. Advanced Warfare's response to Black Ops' Zombie mode is Exo Survival, even though this also turned into a zombie mode later on with the release of the "Havoc" DLC, but at its core it wasn't that much different from Zombies to begin with. Exo Survival puts you in team of four against different waves of enemies with different objectives per wave. What is different from the already popular Zombies mode is the objective-based waves, where you will have to complete different tasks such as collecting the dog tags of killed enemies, survive against drones or kill a given number of enemies within a time limit. This is without doubt one of the best, if not the very best campaign in any Call of Duty game, as apart from the actually believable and logical story, it constantly throws action-packed moments at you without going too over the top and giving you freedom of movement and the ability to take decisions on which way you approach a situation like never before. The campaign is a great introduction to Advanced Warfare's new gadgets, weapons and the exo suit, which unfortunately won't be available to use until later on in the campaign to its full potential, but you will never feel the need to do so simply because there will always be a new toy for you to play with, and from a gameplay perspective the campaign gives you a great introduction to the brand new mechanic that changed first person shooters in the years to follow. Even moments like controlling a drone or a helicopter never feel like the "necessary in any first person shooter" moments, simply because they are phased so well and always find brand new futuristic ways to make it more fun to watch and play. The same applies to weapons, as you are given a short introduction to the different types of guns that you can use, and after that the entire game opens up as your playground to try them out and see which one best suits your playstyle before jumping into multiplayer. The greatest part about Advanced Warfare's multiplayer is that there is no right way to play it in order to be good at it, as there are so many different weapons, gadgets and kill streaks, along with your exo-suit powers that will change the game and adapt to how you play it. This is a feeling that I've never seen before in a competitive first person shooter, and the freedom of movement that comes with the introduction of the exo-suit alone is enough to make this feel different from any other game in the Call of Duty franchise that came before it. The good news is that it doesn't stop there as there are plenty of new weapons, attachments, exo-suit powers, gadgets and kill streaks to make it all feel new and fun once again, as it was when you first jumped into Call of Duty 4: Modern Warfare. The map design had to be changed from the traditional styles in previous installments too to adapt in order to accommodate the exo-suit abilities, so you can now jump on top of buildings, dash through small gaps between them and get from one point to the next one much faster, fundamentally changing the way you play a competitive shooter. You can once again level up all the way to 50 and prestige once you have maxed out in exchange for a permanent reward such as a unique weapon or high amounts of cash, in addition to a new emblem and playercard. Exo Survival doesn't play much different from the Zombies mode, except for the previously mentioned objectives and the random supply drops that will often reward you with kill streaks, so if you're not the type to accumulate high kill streaks in Multiplayer, Exo Survival will give you a chance to try them all out, while giving you a sense of power and accomplishments when using them, as well as opening up all sorts of opportunities and tactics with your team mates to use them in the best way possible in order to get to a higher wave. While the concept is old, the few new twists that come with the nature of Advanced Warfare's futuristic theme make this mode a must try at least a few times and an amazing experience for players looking for a more cooperative multiplayer experience with friends rather than competition. As Activision mentioned, this is the first Call of Duty game built from the ground up for the new generation of hardware and it looks simply astonishing, with beautiful landscapes that now have a sense of scale and freedom thanks to the exo-suit and detail put into every corner of every single map that you will visit. Motion capture has been used to bring the actors to life inside the game and performances by Kevin Spacey and Troy Baker along with many others make this game's story believable and dramatic in some scenes, which is truly a next-gen experience just looking at it. The visual effects are just as beautiful, with explosions that look and feel realistic, natural movement and top-notch animations and lip sync. The sound effects are what you would expect from a major triple A title, but that is not the star of the show here. The amazing dialogue combined with professional and experienced voice actors and a powerful soundtrack make Advanced Warfare an experience that you will remember for years to come. While Kevin Spacey and Troy Baker are obviously the starts of the show here, voicing Atlas CEO Jonathan Irons and your character Jack Mitchell respectively, other voice actors do just as an amazing job in both likeness and dialogue delivery, with special mentions for Angela Gots	as the voice and likeness of Ilona and Gideon Emery as the voice and likeness of Gideon. Call of Duty is a franchise that understands value for your money, so you will get plenty for your buck here, starting with the 8 hour long campaign that you may want to replay in order to collect all the intel or simply because it's fun, a multiplayer mode that you can sink dozens of hours into, and you most likely will since there is always something new to unlock and the brand new Exo Survival mode that offers a solid alternative for players who are not into competitive multiplayer. Along with that you have plenty of unlockables and secrets to find, as Advanced Warfare only gives you the tools and the freedom to use them however you want and wherever you want. 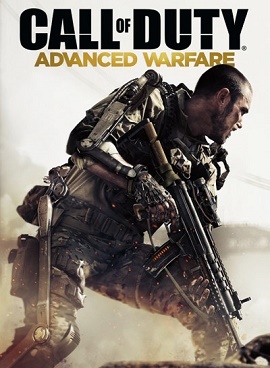 Advanced Warfare is a brand new twist on the Call of Duty formula and a welcome one, as the exo-suit and futuristic theme gives plenty of new ways to play the game and its solid package of content will ensure you have something to do for weeks to come, all while keeping the competitive aspect, mastery and skill based first person shooter action that made the franchise popular in the first place.